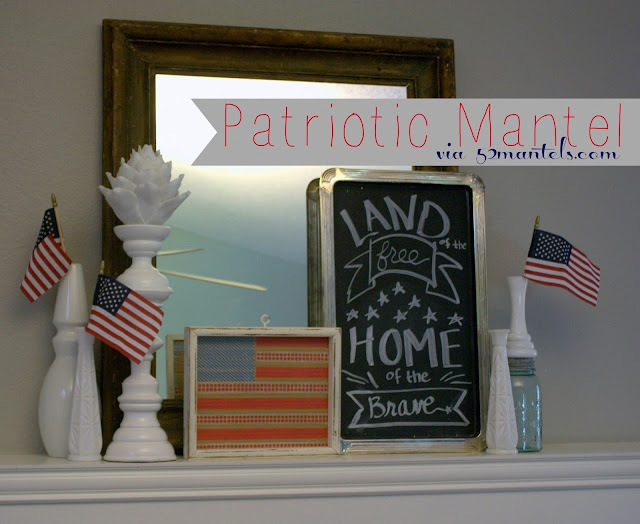 I haven't posted a new mantel in awhile, huh? Well, in honor of July 4th (coming quickly! ), I'm sharing my Red, White & Blue Patriotic Mantel. 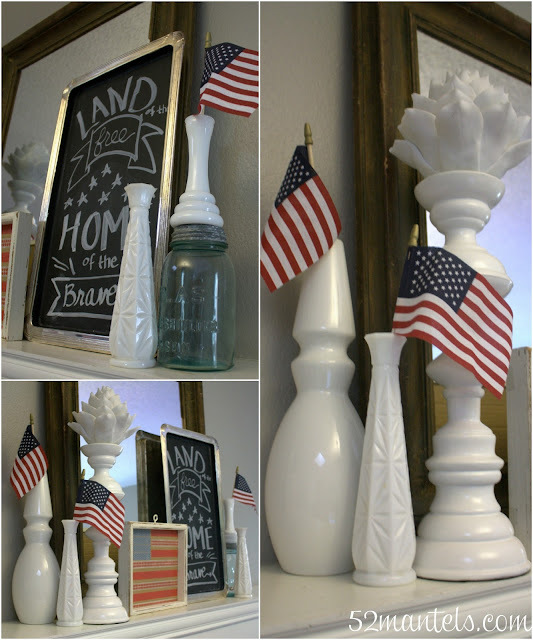 I grabbed a handful of my white vases (of course) and added some Target Dollar Spot flags. I also used my Washi Tape Flag Art from last year. The tutorial is super simple. Go check it out! Oh, and I've recently purchased a large chalk pen. Y'all, it's the best! I'm never going back to plain ol' chalk! Want one? Hobby Lobby...don't forget to print your 40% off coupon. Have I ever mentioned that my mantel is frustratingly hard to photograph because of the large mirror that reflects a popcorn ceiling and a blah ceiling fan? Well, it's the truth. Love your little Washi tape flag - it amazes me how much can be done with tape! Looks great - Thanks for the inspiration . Hey Emily... Love your mantel! I just posted mine today as well... and you're right sometimes it is hard to photograph the mantels with reflections. Mine was hard because of the lighting. Here is mine if you want to take a peek. Super cute!! I have textured ceilings and walls. I hate them!! So I feel your pain!! Your mantel is pretty though!! LOL -- I have the EXACT problem photographing my mantel!! Love the red, white, and blue, Emily ~ have a great day! 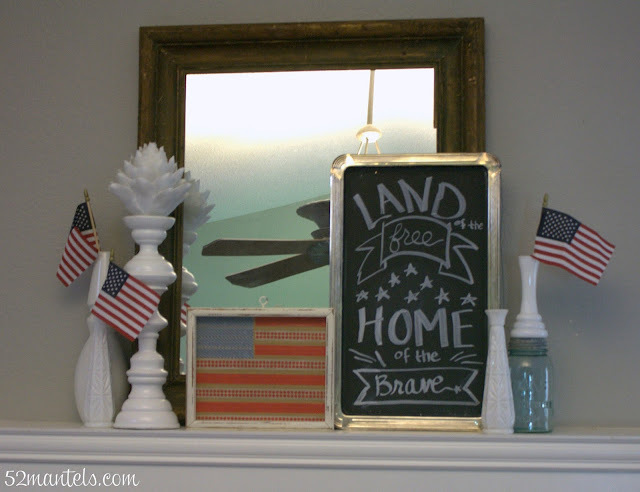 Despite the popcorn ceilings, I think the pictures of your mantel look great! I'm stopping by from Tatertots & Jello (#86 DIY Photo Canvas and #115 Spend A Little & Invest In Yourself) Have a great weekend!